For owners of small to medium sized enterprises(SME's), managing the finances your business can be not only mentally overwhelming, but can also detract from running the business and managing its strategy. Here at Bogle and Company, we understand that owning a company does not mean that you have all of the financial skill sets required to effectively grow the company by facilitating optimal fical growth. Bogle and Company has this skill set you require. We provide executive-level skills and experience without having to pay for a full-time employee. Bogle and Company will knowledgably manage your financial, business, and strategic planning and implementation. 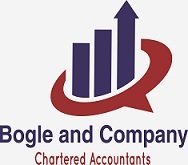 Bogle and Company will also handle audit preparation. Bogle and Company will improve financial reporting and analysis for your company.